Every 9th of May the European Union celebrates its raison d’être by paying tribute to the Schuman Declaration, which encapsulates the vision of Robert Schuman, France’s Foreign Minister at the time, for a united Europe. Our continent was coming out of the Second World War bruised, polarised and deeply divided. Leaders, however, felt the need to look beyond short-term political gains and lay the foundations of long-lasting peace and prosperity. Today’s growing level of interdependence and the pace of globalisation leave few credible alternatives- other than that of collaboration- to those who wish to tackle some of the big challenges that we face like the production of energy and the fight against climate change. Since the Kyoto Protocol (1997) and the Copenhagen Climate Change Summit (2009), the EU has been forming alliances with other regional powers to curb greenhouse emissions and set ambitious objectives to combat climate change. One of the main decisions taken at the Climate Change Conference COP21 (2015) has been to keep the increase in global average temperature to well below 2°C above pre-industrial levels. In order to achieve this goal we need efficient energy production and a sustainable mix. By working together and combining our resources the benchmark is raised and the cumulative benefits are more. Today, over 27% of the EU’s electricity production is generated by renewables which account for over 15% of the overall energy share. The EU aspires to be the world power in renewable energy and reduce CO2 emissions by 40% by 2030. Similarly, the EU has proposed a roadmap for moving towards a competitive low carbon economy by 2050. 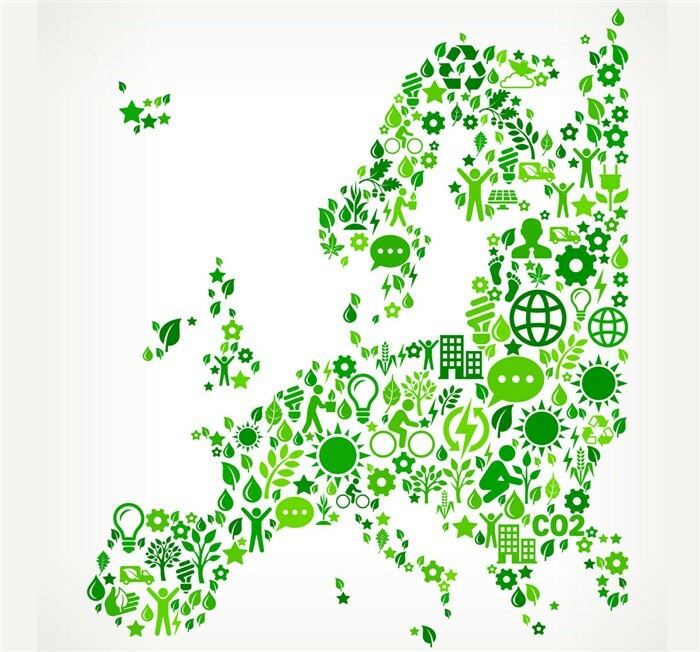 Consequently, the EU member states are now putting together low carbon development strategies into national and local action. The latest EU strategy to address power supply in Europe is the Energy Union and in a nutshell it tries to ensure energy security, solidarity and trust, increase energy efficiency to meet growing demand, decarbonise the economy and promote research, innovation and competitiveness. Within this context, ITER is described as the international project where the European contribution will generate spin-offs and maintain our continent’s leadership in nuclear technology. Fusion has the potential to produce safe, sufficient, sustainable energy. Small quantities of fuel are required to trigger off a fusion reaction and there is no risk of a chain reaction. Thanks to the Joint European Torus, Europe’s biggest fusion device to date counting already 38 years, and more than 29 research laboratories operating with a proven track record in the field of fusion, Europe is considered a promising partner. ITER is the biggest international energy project bringing together seven parties which represent 80% of the global GDP and half of the world’s population. Europe is the host of this project and this has been achieved due to the fact that the 28 EU member states plus Switzerland acted as one bloc during the complicated negotiation rounds. Fusion for Energy (F4E) is responsible for managing the European contribution to ITER. In other words, this EU body awards the contracts and overviews the manufacturing of our share of components. One can sense the direct effect of the EU’s involvement in terms of economic growth, jobs and the creation of skills. Conquering this new energy source can only be done through collaboration, resilience and vision- the same attributes that shaped the European idea almost 66 years ago. To commemorate the founding declaration of the EU, some of its technical agencies have put together a clip to explain how what they do matters to you. To view the clip click here.